CrossFit® is something that’s grown in popularity over the past few years. Once a word that sparked puzzled looks and general confusion, CrossFit has grown into a part of society. Yet with any type of cultural phenomenon-turned-norm, it’s always nice to take a step back and reflect on where everything started. Crooked River CrossFit is Mayfield’s highly esteemed fitness studio and CrossFit gym. With classes, coaches, training, and more, we can help you get into the best shape of your life. 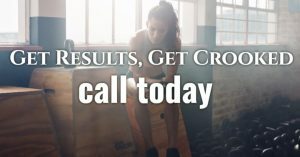 Take a look at how CrossFit came to be, and check out our services to see a full list of what Crooked River CrossFit can do for you! CrossFit was not something that developed overnight—much like anything worthwhile, it took years to form into the program it is today. Back in the ‘60s, Greg Glassman was a gymnast who found that solely doing gymnast-type workouts was not giving him the competitive edge he was looking for. Once Glassman started to combine strength and conditioning workouts with his regular gymnast routine, he found that he was not only excelling in gymnastics, but in other athletic endeavors as well. By the ‘70s, Glassman began training others, and eventually opened up his own gym in 1995. 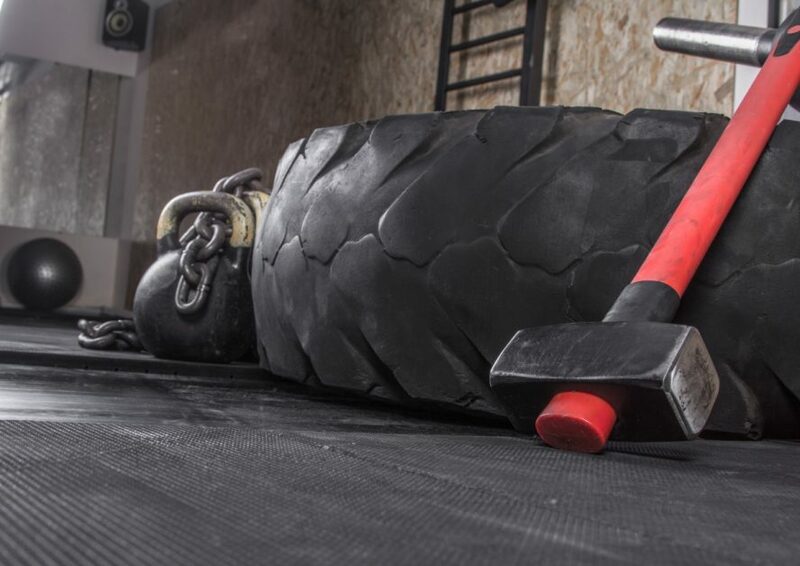 The same elements of Glassman’s original training methods can be found in every CrossFit studio. As their website states, “All CrossFit workouts are based on functional movements, and these movements reflect the best aspects of gymnastics, weightlifting, running, rowing, and more.” In addition to developing a physical health regimen, CrossFit also incorporates a high protein, low carb diet to supplement the work done at the gym. Glassman is a strong proponent of the advantages that can come from this type of diet, and has implemented it into CrossFit as a result. From 1995 to present day, there are tens of thousands of CrossFit gyms (referred to as “boxes”) all over the world, in every continent. Millions of people enroll in CrossFit courses, and there are courses available for people of any age. In just over 20 years since the first CrossFit opened its doors, you can find a CrossFit practically anywhere. In addition to the number of CrossFit gyms and studios continuing to grow, another trend has continued to increase in popularity. The annual CrossFit games takes elements of the workouts and showcases them in an arena, where contestants battle it out to see who is the fittest of them all (the $275,000 prize also doesn’t hurt). The events include things that are more predictable, such as a run-swim-run and an obstacle course, and then some unique courses such as “Strongman’s Fear,” in which participants move a yoke, a farmer’s log, and a sled 150 ft. across a field. The “Strongman’s Fear” also requires a handstand walk upon return, which might explain the name a little further. Not only has CrossFit worked tirelessly at changing the game of exercise, but they’ve worked to change how we view fitness as a whole. As Vogue Magazine mentioned in an article about recent CrossFit Games winner Annie Thorisdottir, “If you were to search a collection of stock images for the words women and exercise, you’d end up staring at a lot of willowy young moms standing in tree pose and skinny aerobics instructors brandishing pastel-colored dumbbells.” Indeed, women in sports have long experienced the double standard of being fit, but not looking “too fit” or muscular. CrossFit is a space where being “too fit” is not only accepted, but encouraged, regardless of gender. In a time when colloquialisms such as “throwing like a girl” are still thrown around as casually as the ball they refer to, CrossFit works to create strength and instill athleticism in every person. CrossFit gyms continue to pop up around the globe, and their impact is continuing to make waves in what fitness looks like, and how it is practiced. This is a lifestyle that shows no signs of slowing down, and if anything, has only grown in popularity as time has progressed. CrossFit has continued to build a solid online presence, providing “WOD” (Workouts of the Day) available on their site. You can find additional information on daily and weekly workouts at the Crooked River CrossFit blog! CrossFit classes have also expanded, now available for kids to join in on the group courses. This course expansion has also added yoga to their overall program, and Crooked River CrossFit is proud to offer yoga classes as part of our schedule. You can get involved with this athletic and strength training experience with ease, by signing up at Crooked River CrossFit in Mayfield! We are a fitness family, and we are committed to helping you reach your health goals. Don’t wait to make the changes in your life you’ve always wanted—contact us today to get started.